A replacement check valve spring and ball for the Grainfather brewing system. 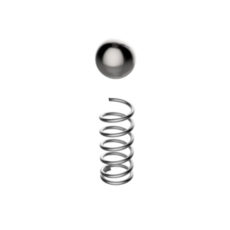 Replaces the spring and ball on the Grainfather's check valve if yours gets damaged or goes missing. A replacement pump for the Grainfather brewing system. 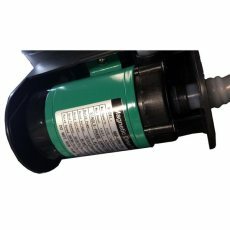 Replaces the pump on your Grainfather if yours gets damaged or goes missing. 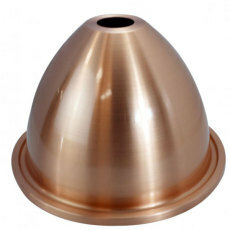 A copper dome top for your Turbo 500 Boiler or Grainfather. Fits on easily with no hassle! Used with a condenser to turn either device into a still. Can produce 95% yield at 93% purity! 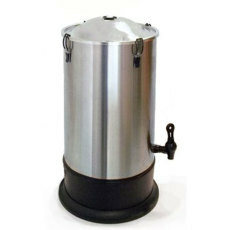 25 Liter (6.6 gallon) boiler with 120v 1600w integrated heating element for smooth boiling! 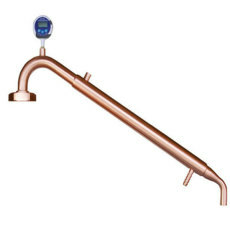 A copper pot still condenser for use when keeping the natural flavor of the wash.
Used with the Still Spirits Copper Dome Top on either the Turbo 500 Boiler or the Grainfather.